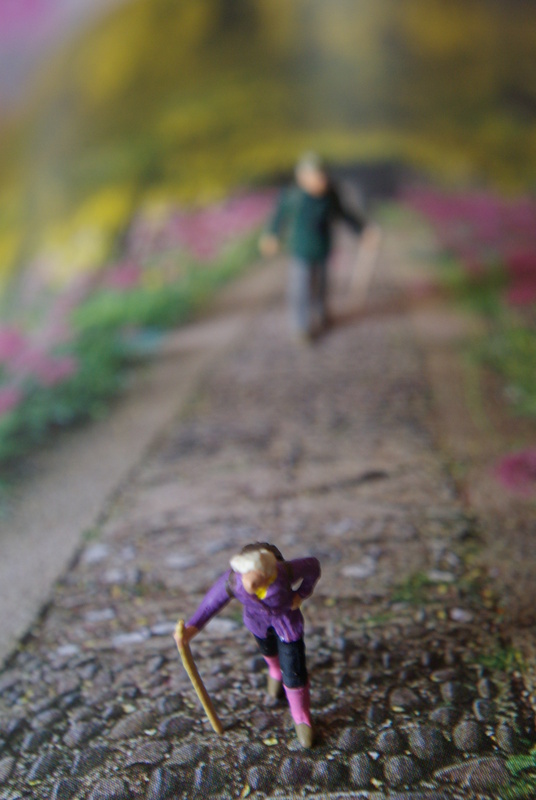 Print from my “Small World” series of images of tiny people. An elderly couple rambling pathways in the English Lake District. 20x25cm (8x10in) print, unframed. Supplied flat in card envelope.